Losing hair and being faced with getting older is no fun, so take control and say no to thinning hair with Tough & Tumble 01 CAFFEINE SHAMPOO for extra volume. REVITALIZES & REPAIRS…The Caffeine extract and Biotin will enhance the structure of hair and stimulate hair growth. 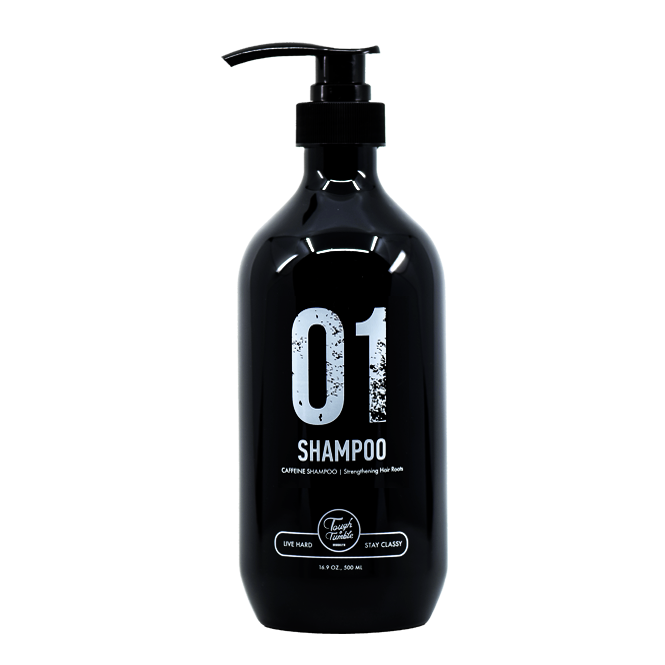 No parabens, toxins or harmful chemicals, Non-GMO, and is not tested on animals; a worry-free hair regrowth shampoo. Restore dry, damaged, brittle tresses with Tough & Tumble 02 CONDITIONER infused with argan oil of Morocco. Intensely hydrate, while this blend infused with silk proteins lock in moisture to give hair the look & feel of silky perfection. SOFT, SEDUCTIVE, HYDRATED: This rich blend is infused with argan oil of Morocco + silk proteins to help restore even the thirstiest skin, drenching it w/ hydration & helping to leave the skin feeling silky-soft and give such a control to your hairs. Tough & Tumble 03 BODY WASH is an invigorating middleweight gel cleanser formulated with Cedarwood essential oil and Vitamin E to banish grime and thoroughly refresh the skin from neck to toe. SMELL GREAT, FEEL GOOD: Work up a thick, luxurious lather to your skin with Cedarwood, Jojoba Oils so you always leave the house smelling your absolute best. Also, Cedarwood oil promotes clear skin & relaxation with anti-stress properties. No parabens, toxins or harmful chemicals, Non-GMO, and is not tested on animals.